This Podcast is about Tom Petty and The Heartbreakers. This is Jon Scott and I have a podcast about my adventures for 40 years with Tom Petty. 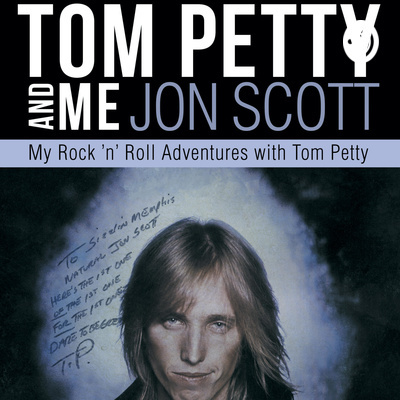 I really think you're going to like my new book, Tom Petty And Me. This episode is an interview I did recently with Mark Felsot. Mark is a great and talented person. It was an honor to be interviewed by him for my book Tom Petty And Me. It's available on Amazon, Amazon Kindle, and also you can order it at www.TomPettyAndMe.com and I will personalize the book for you or a friends for a gift. Just a lotta great stuff!! TOM PETTY AND ME-10-12-2018 Lots of stuff! LATEST EPISODE/OCTOBER 12TH AND OCTOBER 13TH, 2018-PRIZE WINNERS ALSO- FREE DOMESTIC SHIPPING GOES AWAY THIS COMING SUNDAY NIGHT FOR MY BOOK TOM PETTY AND ME-BE AWARE!! TOM PETTY AND ME-10-10-2018 Lots of stuff! TOM PETTY AND ME-10-8-2018 Lots of stuff! THE LATEST PODCAST EPISODE OF TOM PETTY AND ME! TO ENTER OUR MEMORABILIA CONTEST-SEND AN E-MAIL TO jonpaulscott@gmail.com In the SUBJECT Line-put Tom Petty And Me In the body of the e-mail put your name and the city you live in.. One contest per day until I run out of memorabilia...you can only enter one time per day..Let's have some fun! !